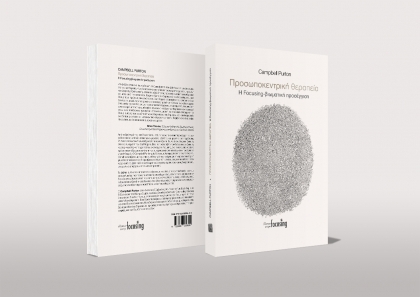 The Hellenic Focusing Centre has created an integrated professional training specialised in Person-Centred and Focusing-Oriented Counselling and Psychotherapy. This implies that this training offers the general framework which enables the trainees to cultivate and develop all the essential theoretical, practical and personal skills in order to be able to work as independent Person-Centred and Focusing-Oriented Counsellors and Psychotherapists. a. Be recognized as Counsellors and/or Psychotherapists by NOPG and GAC, which represent the corresponding European bodies in Greece. b. Obtain the Focusing Oriented Therapy (FOT) Certificate from the International Focusing Institute, New York, U.S.A. (membership required). c. Obtain a Post-Graduate Diploma and/or a Masters Degree in Focusing-Oriented Therapy (FOT) by the East Anglia University, Norwich, U.K. The main objective of this training is the adequate and complete training of future Counsellors and Psychotherapists, who will be capable of exercising the relevant professions with self-awareness, accountability and scientific background. For this reason, the personal development of the trainees is considered an integral part of the training process, which is implemented under supervision by combining this personal development with counselling/psychotherapeutic skills and theoretical knowledge. The theoretical training and understanding of the Person-Centred and Focusing-Oriented approach. The development of counselling/psychotherapeutic skills for establishing as well as maintaining a counselling/therapeutic relationship with a wide range of people. The ability of the trainee for thinking over and reviewing their clinical practice, initially under supervision, and the ongoing of their counselling/psychotherapeutic practice. The acceptance of the necessity to act within, and apply their counselling and psychotherapeutic practice under, a strict ethical framework. To become aware that the most important counselling/therapeutic tool is the self of the therapist and not academic, theoretical knowledge. For this reason, the personal development and cultivation of the therapist is absolutely necessary. To search for continuous self-awareness, which implies awareness of their self-image, of their conditions of worth and their perceptual field. To be aware of the way the person symbolises their experiences and is related to them. To be aware of their defense mechanisms with which they distort and/or deny their experiences with the consequence to sidestep their experiencing process. To cultivate their ability to focus on their experiencing process, whether this refers to own issues or issues which interact with their clients. To gradually obtain confidence and acceptance of their selves. To be aware of their “blind spots” (experiences, knowledge, thoughts, emotions, values), which can negatively affect their counselling/therapeutic practice. To reach a higher level of theoretical knowledge and understanding of the Person-Centred and Focusing-Oriented Approaches. To understand in depth the theory of Personality of the Person-Centred Approach, as well as the theory of Personality Change of the Focusing-Oriented Approach, in order to be able to describe the psychological world of their client, for scientific, research and supervision reasons. To cultivate their ability for critical study, research and review of the bibliography of the Person-Centred and Focusing-Oriented Approach as well as the bibliography of Counselling/Psychotherapy in general. To cultivate their critical thinking as well as the comparative understanding of the main therapeutic approaches, including their own. To understand the personal, cultural and social factors that affect personality development and psychological disorders. To cultivate their communication skills. To cultivate their counselling/psychotherapeutic skills. To further develop the ability for personal as well as group study and essay writing. To develop the ability of reviewing their counselling/psychotherapeutic practice. To take constant care of their personal and/or group supervision, as much as for their own benefit as for their clients’. To develop the ability for communication with other people in general, via the Person-Centred and Focusing-Oriented Approach principles. To develop their ability to create and sustain safe and respectful counselling/psychotherapeutic relationships. To cultivate their empathy ability. To be aware of their unconditional positive regard. To develop their congruence, and to be able to express it. To develop the ability to focus on their experiencing, and to obtain the appropriate information for their relationship with the client. To cultivate their quality of presence. To seek for the appropriate reflection while respecting the individuality of each client. To provide a smooth, safe, unimpeded engagement into the counselling/psychotherapeutic process. To recognise and respect the limits of the counselling/therapeutic practice. To recognise and respect personal limits. To provide, when necessary, referral of clients to other therapists. To maintain good relations among colleagues. To be aware of the therapeutic process stages. To be aware of the idiosyncratic way with which the client is related to their experiencing and to facilitate the reconstitution of the experiential process. To provide and maintain the external frame of counselling/psychotherapeutic work (place, time, duration). To ensure the continuous supervision of their counselling/psychotherapeutic practice. To develop their professional status as Counsellors/Psychotherapists. To individually and independently exercise their counselling/psychotherapeutic profession to either prevent or solve problems. To obtain the ability to cooperate with colleagues public or private institutions. Person-Centred & Focusing-Oriented Counselling and Psychotherapy signifies a creative combination of two practically parallel approaches: Person-Centred and Focusing-Oriented. Although these two approaches share a common background and a partly common present, after some point they followed parallel paths, which sometimes appear to be complementary, competitive or even opposite. Always taking into account the differences and particularities of these two approaches, in the Hellenic Focusing Centre we intent to focus on their common and complementary points, on-going communication, interactions, development and evolution by means of training, therapeutic activities and supervision. The theoretical framework of the training is influenced by the Phenomenology and Existentialism philosophical schools of thought. Moreover, it is based on the scientific principles of Humanistic Psychology, since both the Person-Centred and the Focusing-Oriented approaches belong to the wider field of Humanistic Psychology, the so called “third path” of psychology. This path appeared and was developed after the Second World War as an alternative approach to the dominant schools of thought in these days, i.e. psychoanalysis and behaviourism. As mentioned, Humanistic Psychology has its theoretical origins on Phenomenology and Existentialism. In the core of these two philosophical schools of thought of the 20th century lies the unique and always individual human being with a very personal, subjective and, thus, an unprecedented perception and meaning of the world and himself. It is exactly this subjective truth, with all its facets, shadings and nuances, as well with its denials and distortions that the Person-Centred and Focusing-Oriented Counselling and Psychotherapy aims to understand. Hence, this special psychotherapeutic approach does not attempt to give a technocratic, one-directional scientific explanation of any human condition, but its full comprehension with all its potentials and limits. It is this profound respect towards the human being per se that inspires this specific attitude contrary to any other alternative. Therefore, Person-Centred and Focusing-Oriented Counselling and Psychotherapy does not define and develop diagnostic tools and therapeutic techniques that would implicitly use the individual as a research object or an object for interpretation and analysis. On the contrary, the main objective of this approach is to develop attitudes, views and qualities that enable the counsellor/psychotherapist to approach clients as unique and distinct persons. Through this encounter, the client in turn is given the chance to meet with their own self, to accept their individuality, to relate with themselves and to be able to relieve themselves from undesirable behaviours and/or unpleasant and hurtful symptoms. Similarly, the Person-Centred and Focusing-Oriented approach understands and takes into account its role and position among the rest of the therapeutic approaches. It by no means considers that it possesses the absolute truth for the human being, but that it offers to the individual a special, unique and different theory with potential as well as limitations. The Person-Centred Approach considers the individual as a unique, complex, organic whole, which is ruled by an intrinsic and dominant force, or energy, the so-called “actualising tendency”. This actualising tendency guides the organism, through development, improvement and differentiation, towards the actualisation of its potential and its eventual integration. Within this theoretical framework, the person-centred counsellor/psychotherapist is asked to support and facilitate the client to connect to this actualising tendency, and allow it to be developed and cultivated. In order for this to be accomplished, the person-centred counsellor/psychotherapist is required to create and maintain a genuine therapeutic relationship with the client, which is to be sustained by means of safety, respect and trust. This relationship should be based on three therapeutic conditions, which Carl Rogers considered to be necessary and sufficient for a therapeutic change: empathy, unconditional positive regard and congruence. The counsellor/psychotherapist should create a safe, respectful and trustful relationship with the client. If the person-centred counsellor/psychotherapist manages to create a relationship with the client under these three conditions, then there is a great possibility for the client to broaden their internal frame of reference, resulting to a better understanding of their self and a greater self-acceptance, which will promote their further development and psychological health. The core of the Focusing-Oriented Approach is the direct and continuous experiencing, i.e. all that we experience in every moment (which flows and changes constantly) as well as the way we relate to it. We are not usually open to our direct and continuous experiencing. We have not learnt to be open to it, to accept it and to symbolise it appropriately. Most of the times, our relation with our experiencing is limited, distorted, sometimes solid, constraining inflexible, and thus, repeated. Consequently, our lives consist of commonly repeated events that lose their experiential depth, and are not transformed into experiences. As a result our personal development is impeded, and does not advance according to our deepest needs and desires; it may even get traumatized –to a larger or smaller extent- depending on our personal path. In order to be able to remove these blocks, and to facilitate our personal development, what is needed, according to Gendlin, is to improve our relation with our experiencing or to restore it in case it has been interrupted. For this reason, Gendlin suggests Focusing as a facilitator to connect or reconnect with the experiencing. With Focusing we turn our attention to our body –as we feel it inside- in order to obtain a felt sense of the situation we experience. At this point, it must be emphasized that according to the Focusing philosophy body, environment, situation and experiencing are in constant interaction, and form an inseparable whole. The body is not just a machine with certain functions but the primary organ with which we meet the world and relate to it. The body is in constant interaction with the environment and caries implicit information, not yet symbolized, relevant to what it experiences here and now. In that sense, the body implies the experiencing and for this reason the body knows. The creation of a safe and trustful environment for the client by the therapist. The presence of the therapist as dictated by the 3 therapeutic conditions of the Person-Centred approach. The interaction between the therapist and the client. The reflection of the therapist, which is addressed to the experiencing process of the client aiming at its improvement and development. Facilitating the client to focus on, relate to and maintain their own experiencing process. Additionally, a core concept in the theory and practice of the Focusing-Oriented Approach, and consequently of the Focusing-Oriented Counselling and Psychotherapy, is the term felt sense. Through Focusing, the client comes in contact with a special form of bodily knowledge. This knowledge is referred to as felt sense. It must be noted that the felt sense does not exist in advance, but is being formed during focusing, i.e. when the clients turn their attention to their body, which implies information related to the situation or the problem it experiences. It differs from the emotions which are usually culturally defined and hence easily recognisable. It is physically, bodily experienced. It refers to a non-symbolised whole experiencing, of which it is the initial expression. It is the “entrance” to the implied, intricate side of the whole experiencing, from where new “material” can be derived for further processing. This material enhances the current emotional and intellectual knowledge, and comprises the basis for therapeutic change. The client, having the bodily-felt sense as a “compass,” can gradually be connected or reconnected to their experiencing, obtain access to it, derive information and find new meanings related to it, and finally be led to possible changes in their lives. The whole training course is completed within three (3) years. The whole training course is completed within four (4) years. It has already been emphasised that the training course of the Hellenic Focusing Centre is mainly experiential. This also applies to the theoretical foundations of the trainees are not built by mere theory teaching, but are personally experienced. Focusing was developed in the ‘70s by the philosopher and psychotherapist Dr. Eugene T. Gendlin, a professor at the University of Chicago, as the result of clinical research and psychotherapeutic experience. Specifically, Carl R. Rogers asked his close colleague, E.T. Gendlin, to investigate the factors that would positively influence the outcomes of psychotherapy. The clients were talking in a more experiential way rather than analytic and rational. They had a better contact with their body and their feelings. They used to turn their attention to their body. They tried to decode the signs of their body. All these characteristics proved to be the most important “tool” for a successful psychological change, which seemed to occur naturally for some of the clients while for others was totally absent. It was this “absence” that E.T. 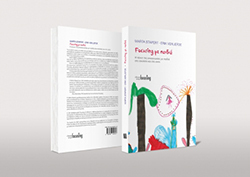 Gendlin tried to cover by creating and developing Focusing as a skill that could be used by most of the clients to benefit from the psychotherapeutic process. In 1978, E.T. Gendlin published his book titled “Focusing”, in which he described in detail the Focusing Process, as a technique of discrete steps that can be followed by both specialists and lay persons as a process of self-awareness and self-therapy.